Dependable Magnolia AC repair, installation and replacement is just a phone call away. Call 281-704-3696 today for expert service and total home comfort. Check out our money-saving specials and coupons when you click here now. Suffering through the oppressive Texas heat can have serious consequences, and every homeowner should take measures to keep their homes cool and comfortable through the worst of it. Having a high quality AC system installed in your home will keep the heat at bay and draw out humidity, so you and your family are always comfortable. An experienced service provider in Magnolia, TX is your ticket to whole house comfort. Read our reviews page to discover what others in your area think of our services. Click here to see what everyone is saying! If you leave your AC filter in for too long, it will get clogged and dirty and won’t allow for proper airflow. In hot places like Texas, you should change your filter at least every three months, but in some cases it may need to be sooner. When the filter is dirty, the AC system won’t be as efficient as it is with a clean filter. This inefficiency causes the system to work harder and will raise your energy bills. Keep an eye on your filter, and stick to a schedule to ensure it is always clean and working properly. There are many issues with DIY air conditioner installation; some have to do with safety and some have to do with quality. If you aren’t experienced with all the various components of an AC system, it’s easy to create an unsafe situation in your home, and it’s easy to install the system improperly. If there are leaks because of poor installation, you’ll be losing air every time your system is running - and losing money right along with it. One of the reasons people gravitate to ductless air conditioning systems is because of improved air quality. Standard systems can reduce the air quality if contaminants are being blown through the ductwork and into every room in the house. With a ductless system, there are no ducts to consider, and no air is being circulated throughout the house. Ductless AC systems use a condenser outside and air handlers on the inside, connected by thin copper tubing to get the job done. 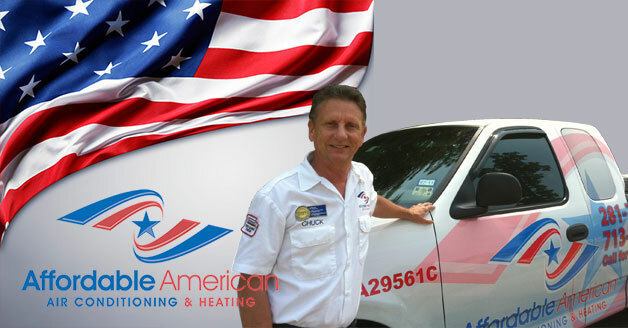 Just call Affordable American Air Conditioning & Heating at 281-704-3696 if you need AC help in your Magnolia, TX home. There’s no need to suffer when help is so close by, so give us call today.